Why yet another ICS adapter? You might have to adapt the IP address (put the name or the IP address of your own openCRX Server instead of 127.0.0.1), the port (in case you are not using the default port 8080), the user and the password. Please note that the URL also contains the user, i.e. changing the user from guest to some other name requires that you adapt the URL as well). If your openCRX server is configured for SSL, you can also connect with SSL. The ICS_VCF adapter also supports proxy servers (check the source for details). Hint: Please also note that the first line with the URL will probably wrap because the dialog window cannot be resized. It is still 3 lines, however, i.e. do not enter line breaks and such in the middle of the URL! 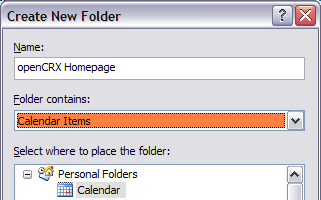 The remaining steps are the same as they are for configuring a calendar, i.e. you can continue here. In the case of a default installation of openCRX Server the provider is CRX and the segment is Standard. Please note that this is (at least for the time being) a read-only adapter, i.e. 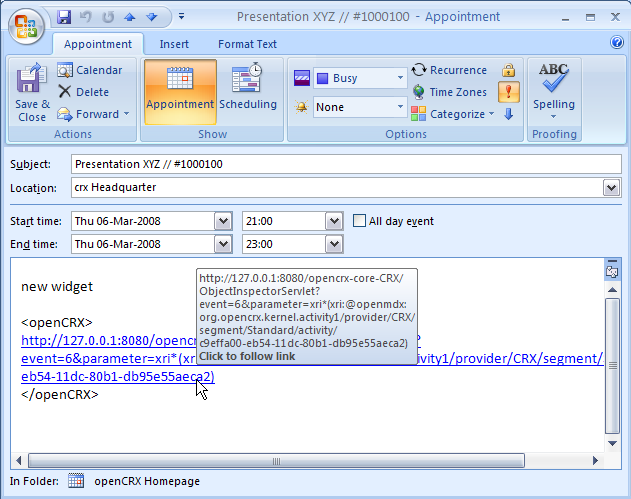 changes made in Outlook won't make it back into openCRX. It goes without saying that older versions of MS Outlook offer even less. 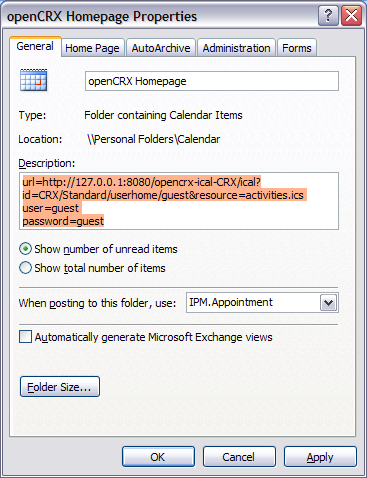 Hence, a third-party plugin/add-on is mandatory if you intend to use MS Outlook with a third-party calendar server like openCRX. Please note that the root cause is Microsoft's unwillingness to adapt to and support open standards, and nothing else. And if Microsoft claims otherwise, please don't have the lawyers send nasty letters. 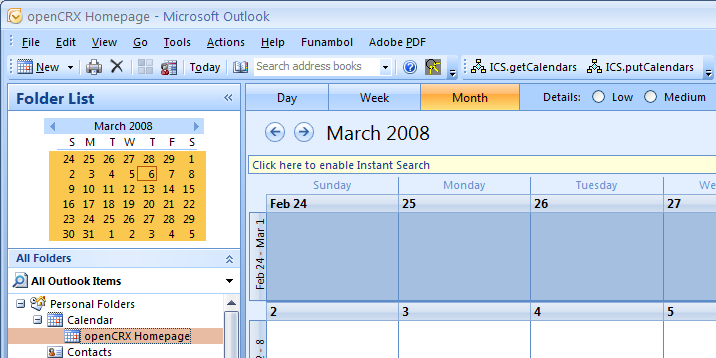 Prove us wrong by adding the few lines of code required to connect MS Outlook to ICS and CalDAV servers. 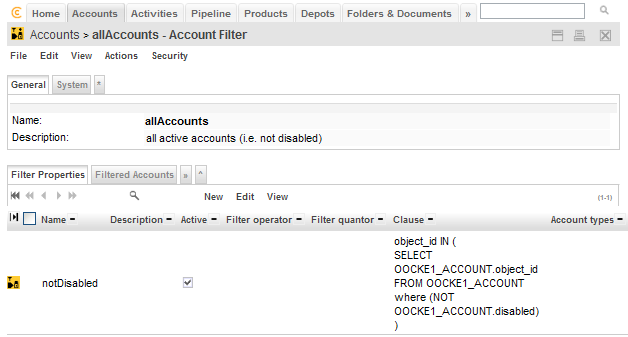 And if you can't do it, send us the Outlook source code and we'll add the required code for you. Please do not hesitate to claim credit if you recognize some of your own code.